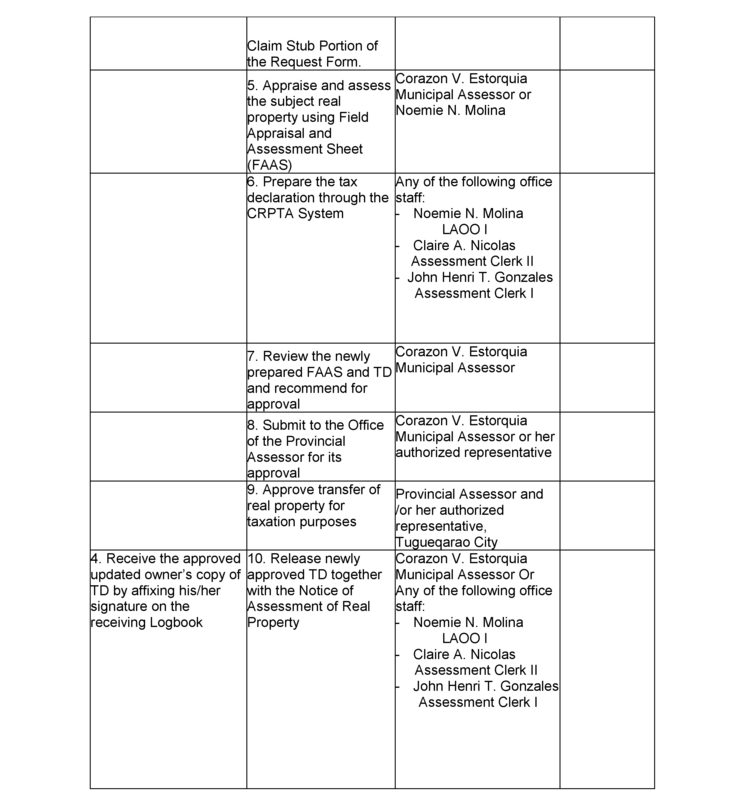 A new owner’s copy of tax declaration as a result of General Revision of Real Properties is issued to owners and/or authorized representatives only upon request. The new owner’s copy of tax declaration will serve as files and a reference of the owner. FEES/CHARGES: No service fee shall be collected. 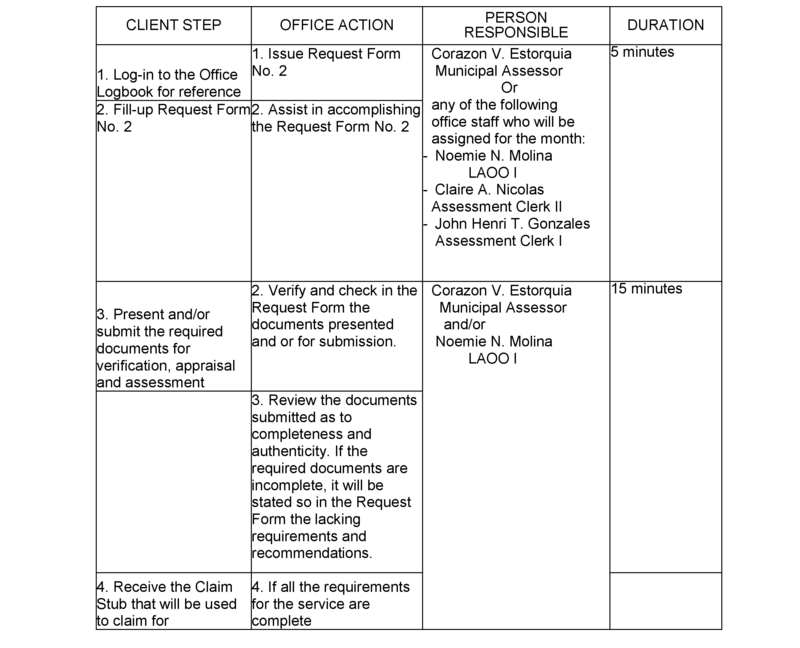 The Municipal Assessor has been deputized by the Office of the Provincial Assessor to assist in the transfer of real properties (lands, buildings, machineries and any other improvement) situated within the municipality. 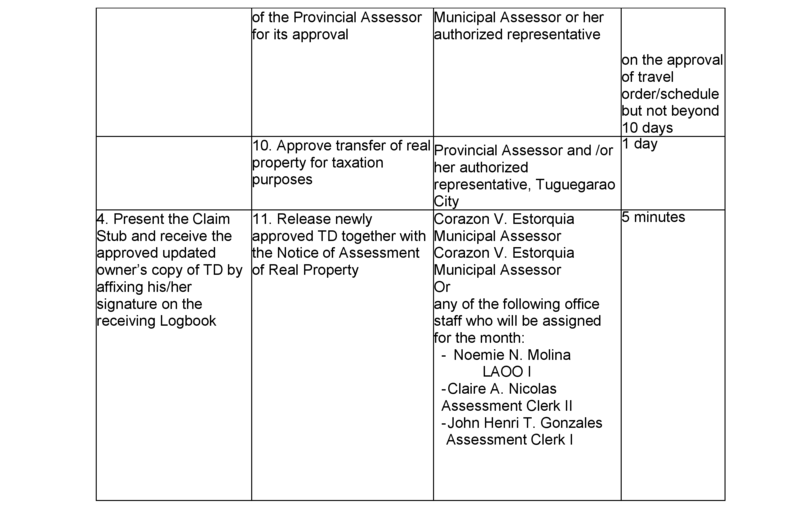 It should be noted that the new owner’s copy of tax declaration as a result of transfer would only be issued only after approval by the Provincial Assessor or Her Authorized Representative. 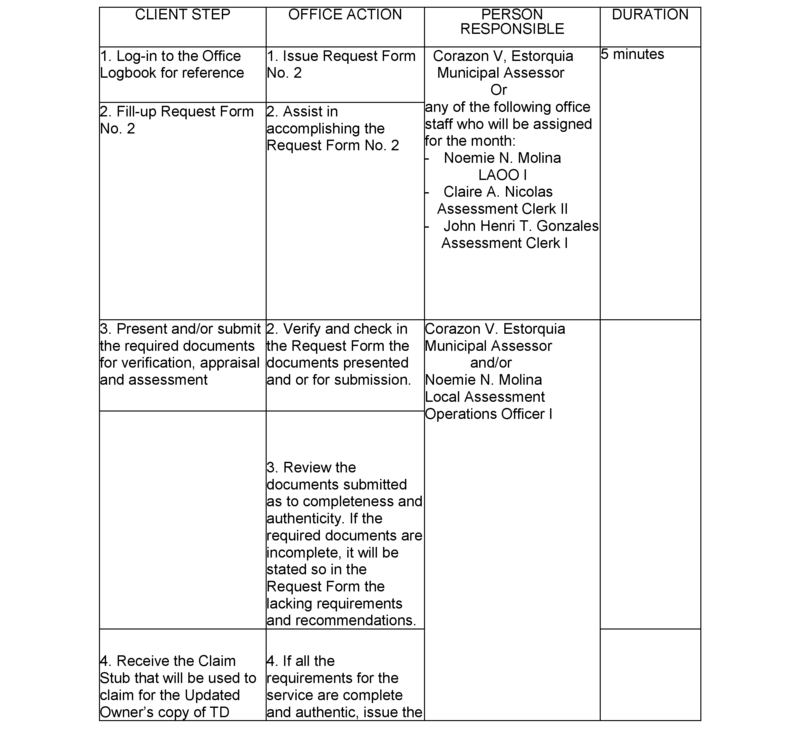 It should be noted also that any real property owner or his or her authorized representative may also transact at the Office of the Provincial Assessor, Provincial Capitol, Tuguegarao City. Special Power of Attorney or any authorization duly notarized and/or subscribed, if the client is not the owner of the subject lot. 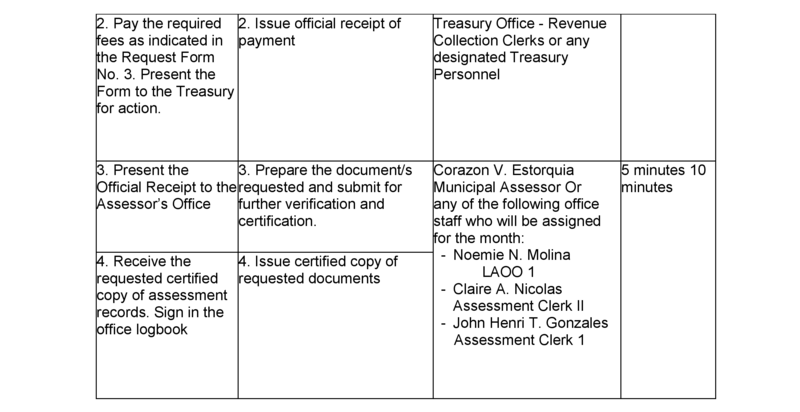 The Municipal Assessor has been deputized by the Office of the Provincial Assessor to assist in the revision of real properties (lands, buildings, machineries and any other improvement) situated within the municipality to reactivate tax declarations of real properties inadvertently missed during General Revisions of Real Properties, to correct erroneous entries such as name of the owner, boundaries, area that were inadvertently committed during the conduct of previous General revisions of real properties: to conform area, boundaries, and actual use and/ or to indicate Title Number of the lot. 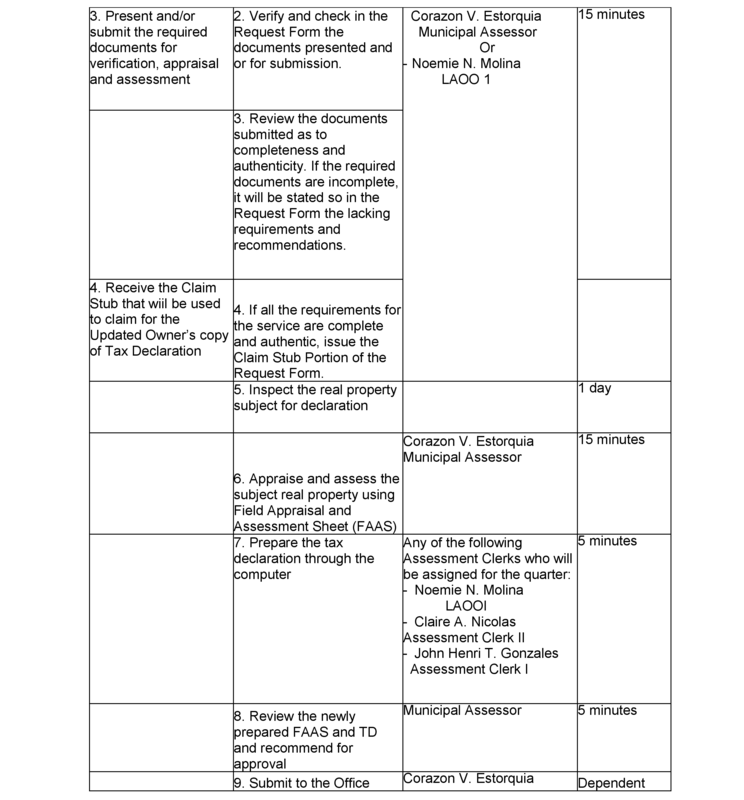 The new owner’s copy of tax declaration as a result of revision would only be issued only after approval by the Provincial Assessor or Her Authorized Representative. New Tax Declaration is needed by owners of newly constructed buildings and newly installed machinery to determine the value of the real property. 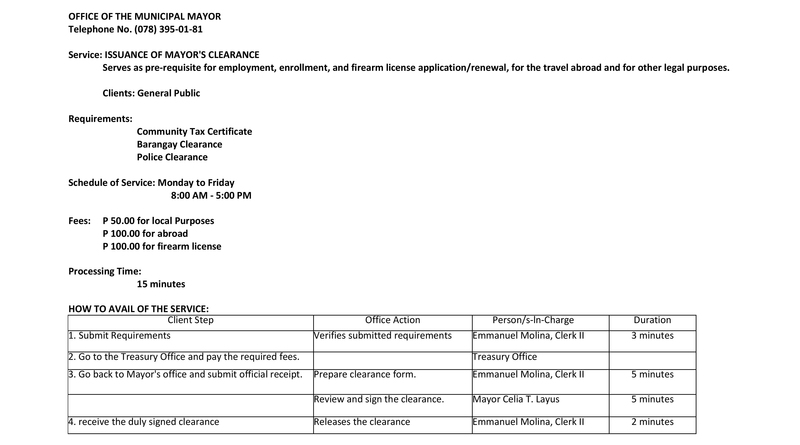 The tax declaration serves as a permanent record of every real property unit (land, building, and machinery) as basis for payment of Real Property Taxes. 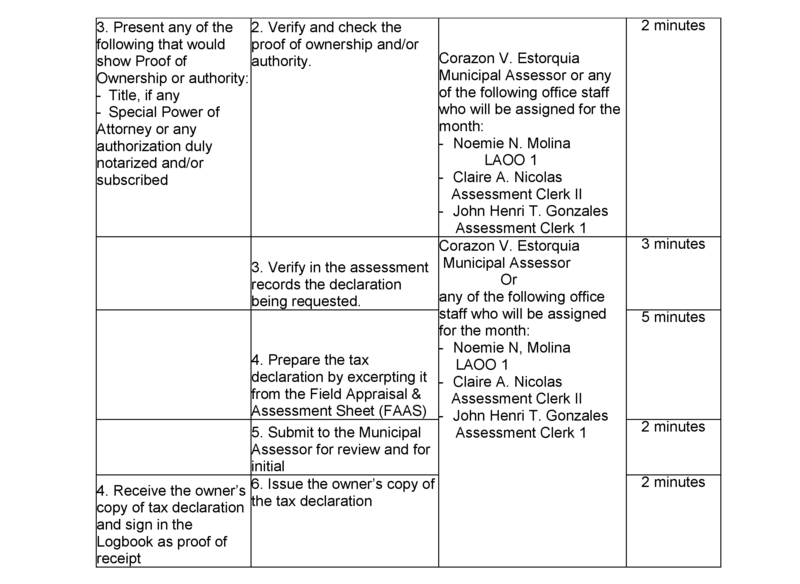 Any interested person/s or institutions can secure a certified true/electronic copy/ies of all assessment records except for barangay base maps and section maps and certifications pertaining to real properties within the municipality Real Property. 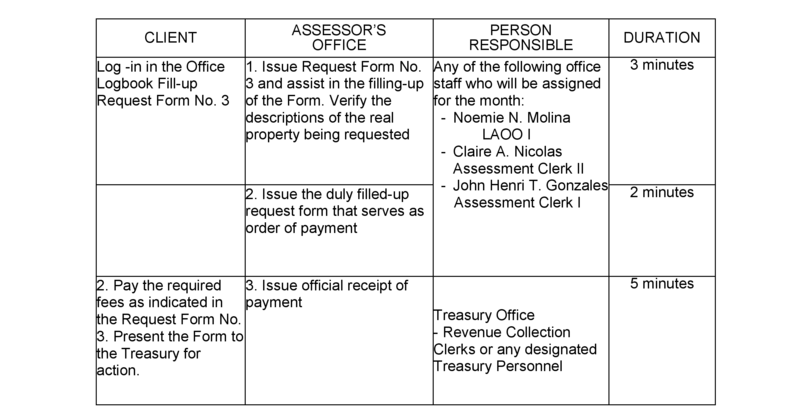 Usually, certified true copies of assessment records on file and certifications pertaining to real properties are being used for transactions with other offices like the Bureau of Internal Revenue, the Land Management Bureau, lending institutions and for legal purposes. 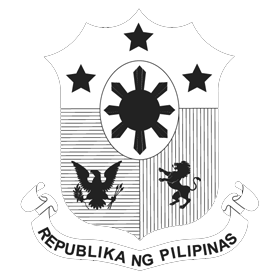 Verification Fee of P25.00 and Secretary’s fee of P50.00 per RPU shall be collected for All certified true copies and certifications issued by the Office as per Revenue Code of 2009, approved on January 14, 2009. Issuance of Certifications other than the certifications regularly being secured by clients shall follow the same processing procedure. The Office of the Municipal Assessor has been conducting barangay tax mapping and information every semester in all 41 barangays. 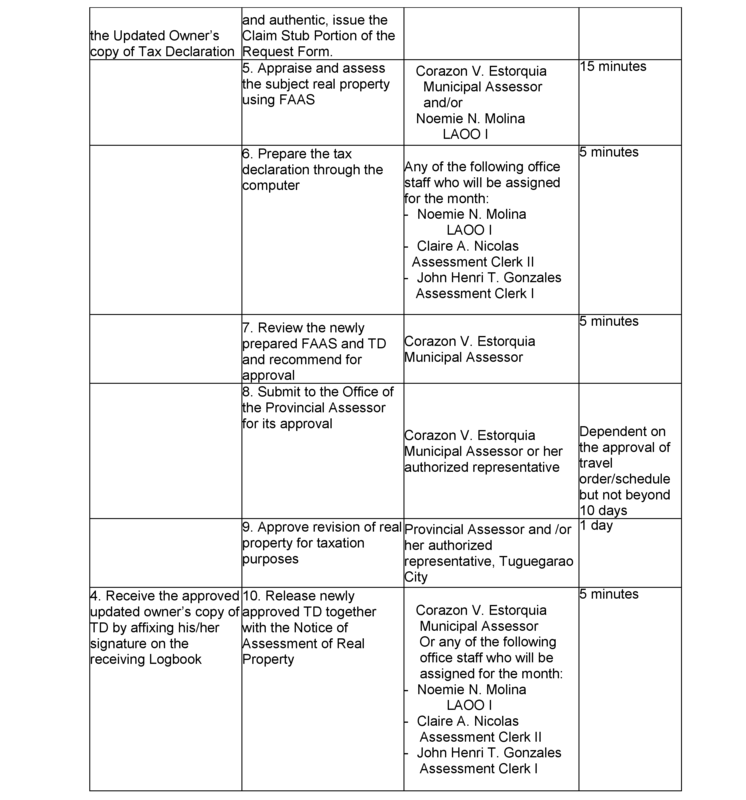 There is neither service fee nor verification fee being collected in the barangay for mapping. However, for such purpose in the office, a verification fee of P25.00 is being collected for every RPU being mapped in the base maps and section maps and other assessment records.